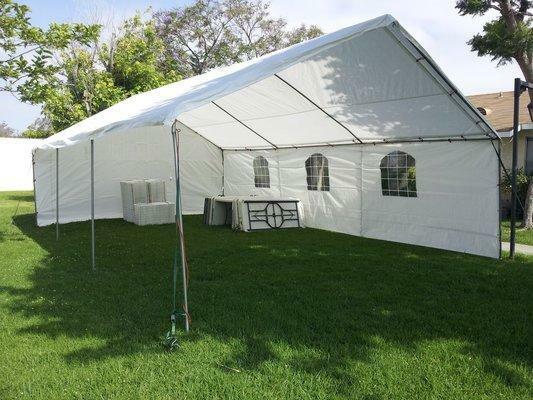 We have tents and canopies that are great for all occasions. Don't let the weather ruin your party! Use 2, 3, or all 4 sides. ($5 each wall) Price includes one wall. You will need our water barrels if placing the tents on concrete or asphalt. Also used on grass when underground pipes and utility cable locations are unknown. We also set up the extension cords for lighting but DO NOT provide the light bulb.